TextUp enables social work agencies and nonprofits to foster strong client relationships built on consistent communication and reliable follow-up. 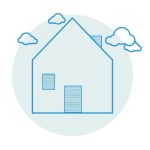 Technically speaking, TextUp combines a cloud-based phone system with a CRM platform tailored to the needs of social workers and care providers. 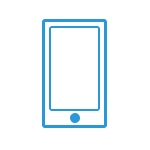 Our users can access a HIPAA- and FERPA-compliant work phone number from any of their personal devices. While clients communicate with this TextUp work phone number the same way they do with any other phone number, staff have access to the entire TextUp suite of features. 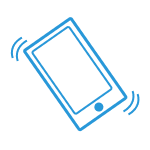 Practically speaking, TextUp gives social work and nonprofit staff the capacity of work phones at a fraction of the price. This gives staff what they want — work-personal life separation — while giving clients what they need — a direct channel of communication. 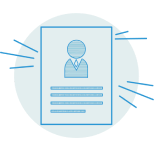 And our automated recordkeeping, one-click mass messaging, and myriad of other time-saving features lighten your administrative burden, giving you more time for direct client service. Stay up-to-date with the latest news and updates about how TextUp is helping social workers and nonprofits work smarter. We take privacy and security seriously and will never share your email address with advertisers or other third parties. Reduce your risk of lawsuits with fully encrypted, HIPAA- and FERPA-compliant texting and calling. Texting and calling are the most effective ways to reach clients, but few platforms meet federal standards for data security. Easily reach your clients without compromising security. Spend less money on phone lines. Because TextUp phone numbers can be accessed via the internet on any device, you don’t need to pay for physical work phones or costly hardware repairs or upgrades. 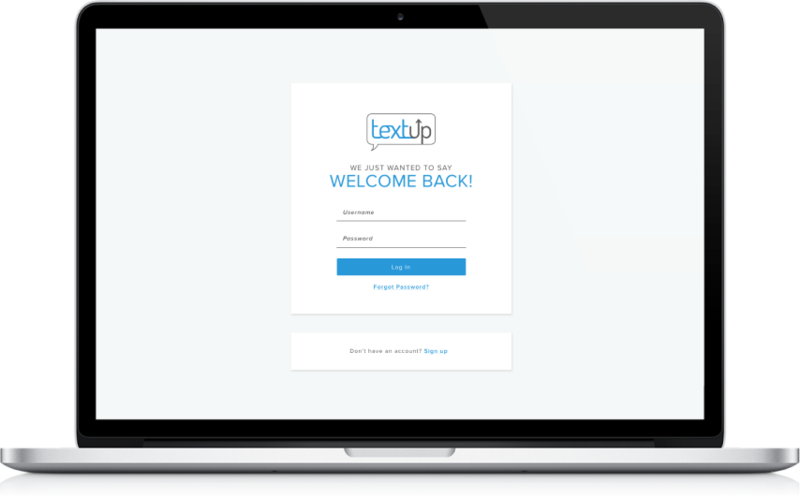 TextUp offers both monthly subscription and pay-as-you-go plans designed for affordability. Have high staff turnover? Never lose clients records or interrupt client care again. Any TextUp record or phone number can be transferred by an administrator. That means when a staff member leaves your organization, you don’t lose their work phone number or their client communication records. Give clients the consistent support they need, without sacrificing your well-being. TextUp provides users with work phone numbers, meaning you can text and call with clients without giving out your personal phone number. When you’re off-hours, incoming texts receive an automatic away message in response and calls can be directed to an alternate phone line. Reduce the time you spend on administrative tasks. TextUp automatically documents your calls and texts with clients. 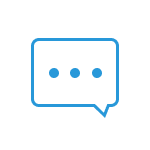 Our users can schedule messages to send to clients in the future — on a one-time or recurring basis — and, with one click, send a message to many clients. Get more things done, more effectively by collaborating with colleagues. Share client records to keep everyone in-the-loop when multiple providers work with the same client. Give a colleague the ability to follow up with your client on your behalf while you’re out sick or on vacation. Staff can even create shared phone numbers or hotlines for different programs. Our customers serve as advocates and advisors to those who otherwise lack support. But despite the critical importance of their work, many social work agencies are underfunded and short-staffed, creating a high stress work environment. According to the American Public Health Association, the average social worker has 25 clients at once. Only 18% of their time is spent on direct client service and the rest of their time is spent tracking clients down, documenting, reporting, etc. Because of the high stress and administration burden, studies have revealed annual turnover of 41% to 51% among U.S. social workers. TextUp provides the capacity-building, time saving, stress-reducing tools that social workers need to be successful at a price point their employers can afford. And when social workers are effective and happy, their clients recieve a higher quality of care. As a community-based organization offering a variety of social and educational services to our clients, it is important to maintain high-touch communication with them. TextUp allows staff to work together in our respective groups without risking leaking personal client information or having to give out staff members' personal numbers. The group messaging allows us to deliver information to our entire program or organization in seconds rather than spending days calling and following up with clients on the phone. With our limited staff time and resources, it has been a great tool to enhance our agency communication overall. TextUp has really revolutionized the way we communicate— both with our clients and with each other. One of the features I love the most is that it provides a second line that we can use on our existing phones. If I had one more thing to hold on to, I would certainly lose it. Having a work number that I can have with me—that I can readily turn on and turn off based on my availability—is really, really helpful. 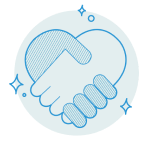 Recently we've started using the share feature a lot because oftentimes what we'll do is we'll start with a client working with one person, but then we'll connect them with another staff member. And being able to link that staff member into the existing conversation both gives them context and allows them to start forming a relationship with the client. It’s been a fabulous thing. The whole team is very, very responsive. We’ve never had any big issues. Whenever we have any little thing, we just email or call them and it’s fixed the next day." TextUp has allowed me to give the folks I work with greater access to me but in a way that still provides me boundaries and privacy. It’s also very useful for mass/group messaging when I need to get word out to folks about something important. It’s great to be able to communicate with clients and others with the flexibility of texting or calling a line that isn’t an office phone. My team manages street outreach work among individuals experiencing homelessness. TextUp empowers us to maintain practical and meaningful contact with our clients. The app is secure and confidential, facilitates collaboration among colleagues, and allows us to individually manage our availability. Being able to meet our clients where they are is of great importance to us, and the TextUp team is constantly working on adding new features with our values and experience at the center. Tech Collective, Rhode Island’s foremost Information Technology Association, in partnership with Rhode Island Monthly, announces its 2018 Tech10 Award recipients. The program will honor sixteen Rhode Island individuals and companies within ten technology related categories. This year’s Tech10 Awards continue to distinguish Rhode Island’s brightest entrepreneurs and technology professionals as well as showcasing organizations who are driving innovation and education across Rhode Island. MassChallenge, a global network of zero-equity startup accelerators, today announced the top startups from its 2018 Boston and Rhode Island programs, which together accelerated more than 150 startups across industries (128 in Boston and 30 in Rhode Island) and from regions around the world. Brown University student Michelle Petersen was named the top winner in the 2018 Rhode Island Business Plan Competiton. Petersen, due to receive her bachelor's degree in public policy this month, said social workers typically handle up to 60 clients simultaneously, but on average dedicate only about 18% of their time to direct client service. The rest of their time is spent managing and documenting interactions. She said, TextUp, which tracks all critical information, allows users to devote more time on clients, fostering more enduring relationships and reducing job turnover. When Michelle Peterson saw a need for better communication tools for social workers, the then-Brown student went to work, creating what would become TextUp, a revolutionary communications software. While completing internships in social work, Brown University Graduates Michelle Peterson and Eric Bai, along with their friend Hanna Oh, a graduate from the Rhode Island School of Design, all came to a startling realization: They were all overwhelmed by how overworked their colleagues and supervisors were. For Cox, the flagship event represents an opportunity to celebrate and galvanize the local startup community. With our second-annual 50 on Fire awards, we wanted to take the time to spotlight 50 of these entities that are doing uniquely fabulous work to continue to set the ecosystem ablaze. The qualities that make a company stand out as “on fire” are numerous; anything from incredible scale, to an official launch, to a new product or sustained leadership count make a company “on fire” for us. A pair of social workers teamed up with a friend in design to develop a secure messaging and software platform that streamlines communication with colleagues and clients. TextUp enables social workers to keep personal phone numbers private and quickly access records from phone interactions, among other things. Did you catch the big announcement? We are proud to announce that Michelle Petersen ‘18, co-founder of TextUp, has been named as the first Brown Venture Founder. At Junto Health, we were particularly excited about TextUp’s potential to streamline doctor-patient communications. Many doctors receive an unmanageable influx of communications from patients, contributing to the stress of their already very demanding jobs. With its HIPPA-complaint platform, TextUp lessens the stress that patient communications place on doctors, without sacrificing the quality and timeliness of patient care. TextUp is a seasoned team with deep experience in social work, product design, and software engineering. We are active volunteers at service agencies in our communities. We are discerning practitioners of design best practices. We are driven to support the important work done each day at the social work, non-profit, and healthcare agencies we serve. We couldn't confirm that you are not a bot. Please contact us via email or refresh the page to try again.